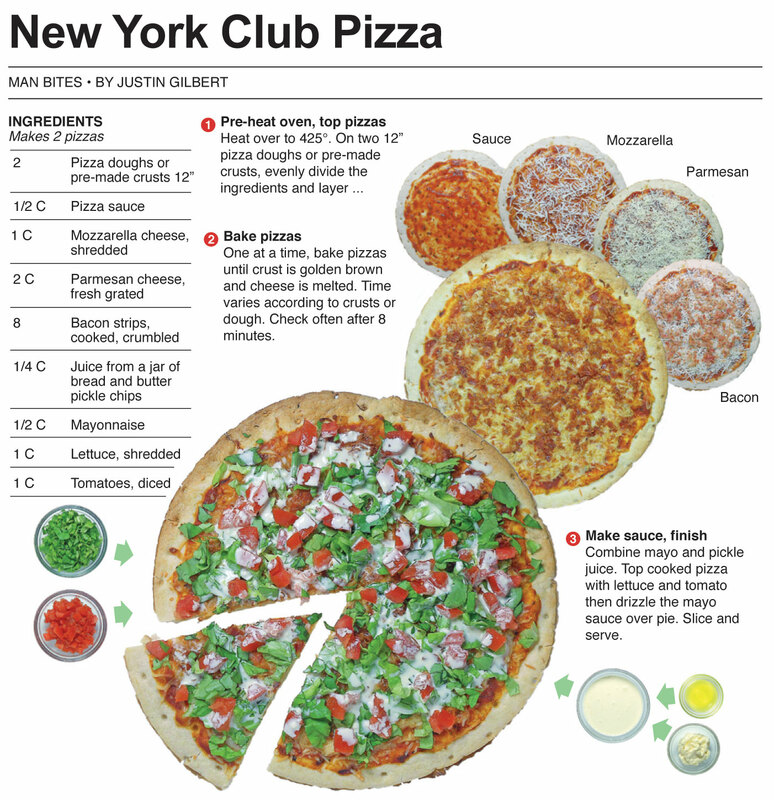 A typical New York slice of pizza has a thin layer of sauce and a simple blend of Italian cheeses as toppings. The crust is thin, making it easy to fold into a taco shape for eating efficiency. It’s the opposite of Chicago-style deep dish pizza which is more likely to be consumed with a knife and fork. There were many times when I lived in the Big Apple that I needed a meal quick, and a warm slice was much easier to eat while walking to my destination than a burger and fries from a fast food joint – just fold it and go. When it is eaten like a taco you never have to put it down, but it has to be held carefully, otherwise, you’ll have stuff running down your forearm. It was and still is one of my favorites bites. For this recipe, I make a simple New York style pizza, but I top it with another favorite – a BLT. The bacon goes on before it is baked and the lettuce, tomato and mayo sauce go on the after it comes out of the oven. 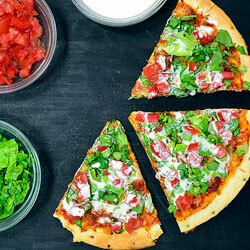 The cool and fresh toppings create a sandwich-like experience on a slice of pizza. I soon discovered that the pizza at Twins was almost identical to nearly every other mom and pop pizza shop in New York City. The best deal was a regular slice for a $1.50 - which was a large slice of thin crusted cheese pizza. 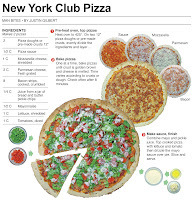 You could get other toppings on the slice for a little extra, garlic knots and other pizza parlor staples. 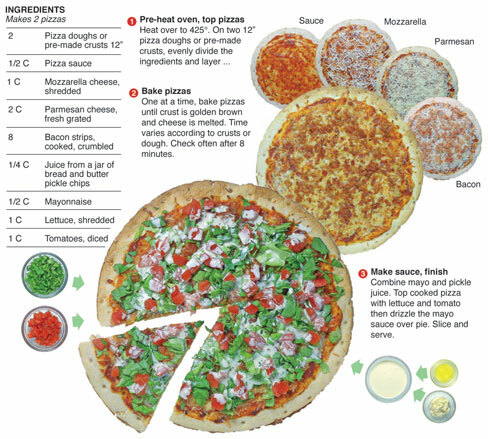 That is the basic menu of every pizza joint in New York. I always got a chuckle out of people who claimed one pizza place was better than another, because to me they were all virtually identical. Much like the brothers who worked the counter at Twins. If you are ever in New York, I highly recommend getting a basic slice from two or three different pizza parlors. There are slight differences in the lightness of the crust and the amount of sauce and cheese on a slice, but they will all taste nearly the same - and will always hit the spot. The New York slice is a home run every time no matter what local pizza joint you choose. Homemade pizza is always better! One gets to play with the ingredient combinations.